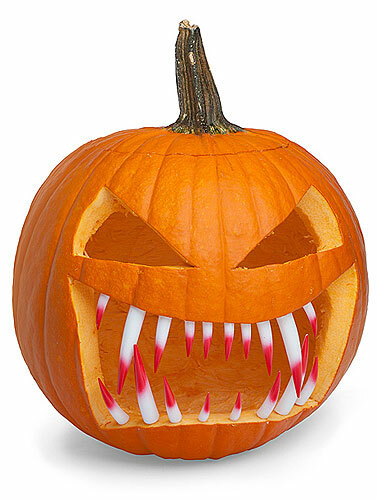 These blood-tipped fang pumpkin teeth will put the bite back into your jack-o-lantern. 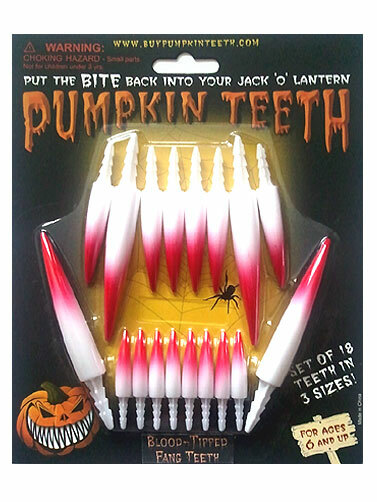 Package includes 18 plastic fang teeth in three sizes to make your Halloween pumpkins more scary. Easy to use, simply screw the teeth into your carved Halloween pumpkin. Blood-Tipped Fang Pumpkin Teeth measure 1.5"H - 4"H. 18 pc.